Irene Elechicon lives in Camarines Norte, which is known as one of the more depressed provinces in the Philippines. Though the area is scenically rich with white sand beaches, small islands, rice fields, and coconut trees, many unemployed live in coastal "barangays" and squatter areas. At an early age, Irene learned the value of hard work. When she was very young her father passed away, leaving seven small children in the care of her mother. Irene says, "Being the second child, I helped work for the living, driven by my desire to help educate my siblings. Now that they have their own lives, my advocacy is to provide jobs for the jobless in the community within my reach." At present, Irene has two family members and one single parent, Agnes, working with her. They work alongside each other in their quest for self-reliance. Currently, they are making beaded jewelry sold at Elevita's boutiques. In a recent message to Elevita, Irene shares, "My desire to touch the lives of others, economically, even one at a time, is my definition of success." The Philippines have an abundant natural resource of capiz shells, which can be made into beautiful bowls, frames, jewelry, housewares, etc. Entrepreneur Florita Escandor recently requested Elevita's help in acquiring a special oven to create these wonderful items. 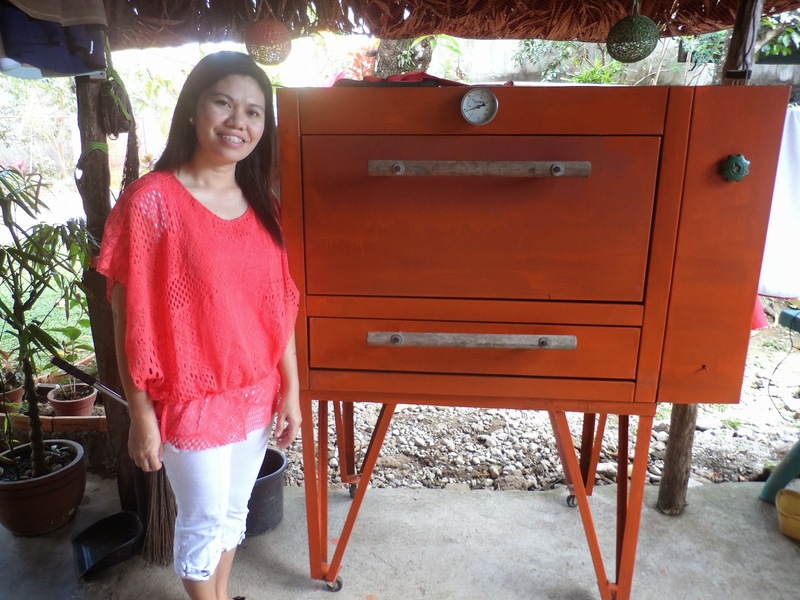 She was able to find a second-hand oven for only 15,000 PHP, and her goal now is to help dozens of local women obtain employment with the new enterprise. Elevita congratulates Flor on her vision and looks forward to posting updates on the venture! In a few months some of these beautiful items will be available for sale on Elevita.com.